Guarding the Integrity of the Conditional Cash Transfer Program (CCT) for the Philippines (i-Pantawid) aims to develop a model for civil society—government partnership for transparent and accountable implementation of the Patanwid Pamiliyang Pilipino Program. The project intends to strengthen the integrity of CCT Program by instituting a strong and sustained civil society role in program implementation that is characterized by (a) use of social accountability approaches in monitoring and evaluation, (b) transformation of beneficiary-parent leaders to community facilitators for change, and (c) training of household beneficiaries in active citizenship. By the end of the Project implementation period in March 2018, there should be a well functioning CSO-government collaboration in CCT Program in Northern Luzon that would serve as model for the rest of the country. 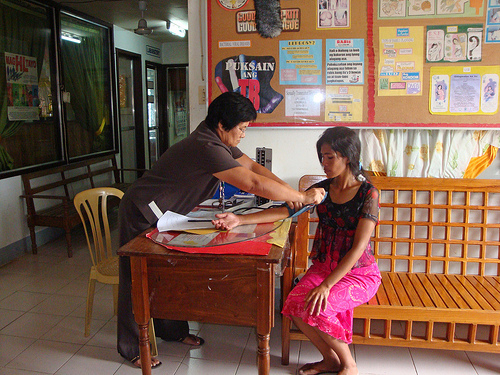 In 2008, the Philippines’ Department of Social Welfare and Development (DSWD) began a new CCT initiative to improve the education and health outcomes of poor households, entitled the Pantawid Pamilyang Pilipino Program (4Ps). The initiative grew from covering 6,000 households in 2008 to four million in 2014. The 4Ps was designed to include partnerships with CSOs and activities geared towards involving beneficiary communities. However, the program activities failed to adequately empower communities to monitor the 4P and provide feedback to local health and education boards and the DSWD. In the Northern Luzon region, CSOs have limited knowledge and skills to develop and apply social accountability tools to monitor and channel beneficiary experiences and feedback to the DSW. Family Development Sessions (FDSs), community-based platforms for sharing information on the 4Ps and collecting community feedback, also face serious weaknesses. More specifically, parent leaders participating in the FDSs lack the necessary skills to mobilize communities, engage with local governments and service providers, and develop action plans to improve public services. collect and curate knowledge to improve project design and share lessons learned. Partnership for Transparency Fund (PTF) is managing the knowledge and learning (K&L) component of this program. PTF and its Filipino affiliate, PTFA, will apply its institutional experience and utilize its Advisers with wide and deep expertise to introduce global best practices and adapt them to local conditions and extract lessons from the project experiences by recording case studies, documenting best practices, and learning through monitoring and evaluation. The resulting knowledge will be shared globally to push the envelope on citizen-led good governance programing. PTF is also managing the K&L component of another GPSA supported project,Transparency and Accountability in Mongolian Education (TAME) with partner Globe International Center in Mongolia.